How long is ten seconds? The sixth part of a minute, socially acceptable perhaps if you arrive a little late for a date, but an eternity if you're waiting for an ambulance. How many shares change hands in the Stock Exchange in just ten seconds? How many trains are missed? Ten seconds are perfectly acceptable when we're in a queue at a till in a supermarket, but totally unacceptable when we're waiting for a page to load when we're browsing through an online store. The energy has to stay on! If a server crashes because of a simple power failure, the entire company may well be paralyzed and those few innocent minutes of outage can cause substantial economic losses. The major e-commerce companies are leading the way in the search for solutions to this important problem: How can we ensure an infallible supply of energy that does not place at risk the huge amount of data they need to do their work. No wonder therefore, that major international e-commerce companies have been busy arming themselves with powerful generator sets so they can have an emergency power supply that won't let them down in the event of any manner of grid failure, no matter how remote such a possibility may be. The energy has to stay on!. 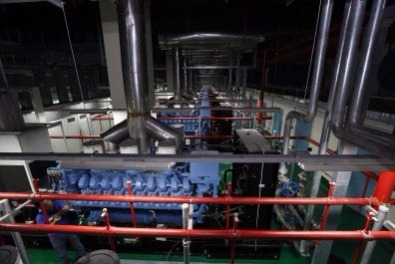 The energy generation industry has adapted itself to the idiosyncrasies of these installations with generator sets that are specifically designed for Data Centers and are sized in accordance with the DCC (Data Centre Continuous) power declaration, and that comply with the regulations that govern them. The Uptime Institute is the internationally recognized body that specifies and certifies how the installations of a Data Center should be designed. It classifies them in four different levels, according to their availability: Tier I, II, III, IV. The factor that determines whether a facility is in one level or another is precisely the number of continuous supply sources and the number of emergency supply sources that are available. The more critical and vital the data that is stored in a Data Processing Centre (DPC), the more reliable the electricity supply that feeds it has to be. 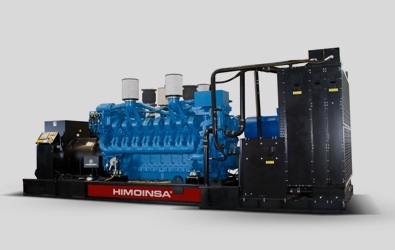 That is why the HIMOINSA generator sets that are employed in these projects are able to incorporate a redundant start-up system, whether electric and hydraulic or electric and pneumatic, that provides a 100% engine start-up guarantee. Their response is incredibly quick, thanks to their pre-heating resistance with a pump. As the water is kept at a minimum temperature of 40ºC, the generator set is able to start up in ten seconds. How much are these ten seconds worth to a company whose core business depends on these data being available? Major corporations have calculated that each second it takes for their page to load can mean losses amounting to billions of dollars, for example. Today's Internet user is impatient and not particularly willing to bestow second opportunities. They have at their fingertips, absolutely all the purchasing possibilities that this global and hyper-connected market can offer. Companies that are able to adapt to this demand for immediate information and service, without any delays or outages during the process, will earn points as far as the image they give to their clients and to their potential clients is concerned. The engine for a DCC application must have an electronic speed regulator so that it can quickly reach opportune voltage and frequency conditions whenever a grid failure demands it has to start-up. Once those parameters have been established, it can maintain them as long as it is operating. 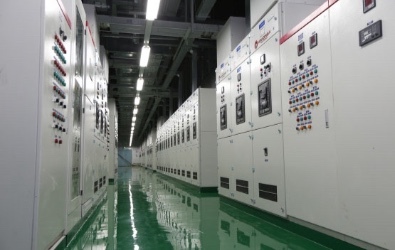 The data center of Alibaba Group, regarded as the largest online sales group in Asia-Pacific, required a 22 MW standby power supply in the second phase of the project. The aim: to prevent any loss of data and/or functionality of the databases that power the group's online sales portals. 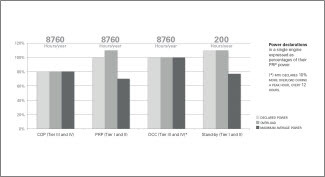 The entire industry that pivots on these data centers has grown exponentially in recent years. Not only shops, but also banks, the entertainment industry and even public administration agencies that have decided to digitalize almost all their processes, now have their own Data Centers and a generator set that ensures that all the information they store there will always be secure and available. 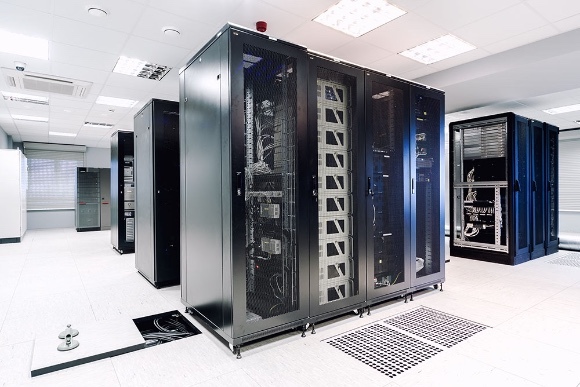 These data centers consume quite a considerable amount of energy, not only so that they can operate normally but also to maintain the rooms in which they are housed at the temperature required to ensure the optimum performance of the servers (20ºC). Therefore, when it comes to working out the size of the genset, not only do we have to consider factors inherent in the application itself, but also such other factors as temperature and altitude. The cooling package that is chosen is also important. 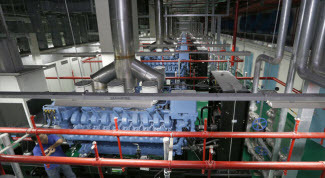 Generator sets are often installed in rooms on ground floors or even underground, with at best limited ventilation. HIMOINSA's engineering team has the experience it takes to design remote cooling systems that can be installed in upper floors or on the roof of the building.